Optimizing your tax return is a great way to save money. The irony is, many of us can’t afford to hire a CPA (Certified Public Accountant). While DIY apps can help, Visor provides a better option. This app matches you with a CPA or EA (enrolled agent), who will optimize your tax return for you. The best part? You can get Visor to handle this year’s return for only $89 via MakeUseOf Deals. Most tax apps out there are DIY solutions. Sure, they can provide some useful pointers — but you’re still doing all the hard and confusing work. Visor is different because you get access to a real human with the knowledge to reduce your final bill. You don’t even need to fill out the return yourself — simply upload your documents and Visor’s tax professionals will do the rest. 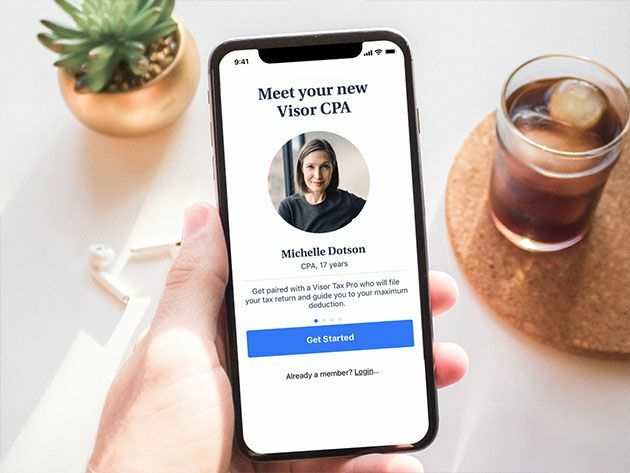 Visor helps with filing for federal tax and any number of state tax returns, along with itemized deductions, interest and dividends, home ownership, and retirement contributions. With this deal, you can also add stock sales and cryptocurrency or self-employment income. You can access Visor online or download the app for iOS. This deal covers your 2018 taxes, and you can schedule a 1-on-1 session with a tax professional at any time. Visor’s service is normally priced at $198, but you can order now for $89 to get all the benefits mentioned above. Explore more about: StackCommerce, Tax Software. MakeUseOf Deals is the place to come for bargains on the gadgets and services you want.